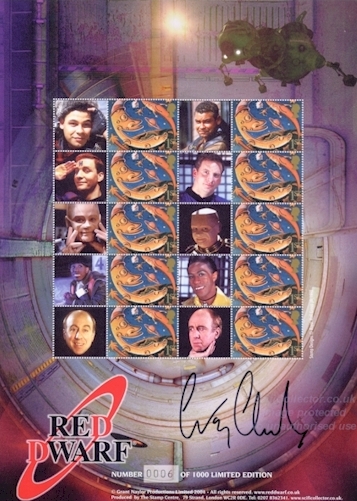 This stamp sheet features images of the cast on the actual stamps. A limited edition of just 1000 in total. These sheets are also available signed by Craig Charles. See the Doctor Who Stamp Sheet section for more information on these great collectable sheets.